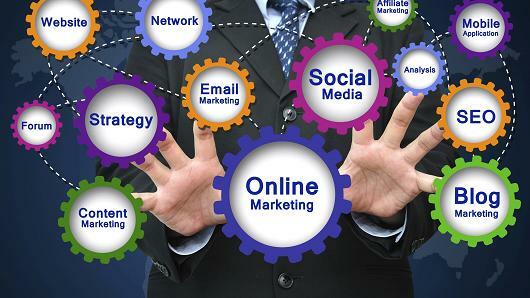 These are simply few of the Internet marketing channels, whoever what most digital marketing executives desire is what marketing matrices really matter. It is one thing to have innovative marketing strategies that suit you business and those which are in keeping current trends and it is another thing all together to figure out what really matters. Quality Score from AdWords: One of the biggest factors in determining advertiser success or failure for that matter is the quality score (QS). The Quality Score as you may have already guessed is Google’s rating of the quality and relevance of keywords and PPC advert on your website. A good Quality Score is desired by all however no all of us know how it works. The way it works the Quality Score has a lot to do with CTR (click through rate). Since the best way for Google to gauge the quality and relevance is to measure how the people react to you adverts. What this effectively means is that the Quality Score determines the quantity and cost of the conversions. Thus as far as PPC is concerned, Quality Score might just be the most important metric. Social Media: Social media is an important factor and what the way it works is they place the most relevant content at the front for the users in their news feeds. But how does the Social Media know what they are doing is effective? One of the most obvious and effective methods is to look for the engagement level of the content on a real time basis, since this will show how good or relevant the advert content is. Hence one of the most important factors in getting it right with the social media is to get the engagement rates up. SEO and Content: When it comes to content and SEO the engagement metrics once again comes into play in helping you create effective and efficient marketing strategies. The easy way of doing this is to look at engagement metrics as the bounce rate or the average time spent on the website. This is important since marketing was never about fooling search engines and creating false hype to make your products or services seem popular that would result in a good ranking. Google has a lot to do with this since it’s search engines will longer be influenced by any underhanded techniques. Hence more conventional and traditional styles of marketing are more effective like first gaining the trust as well respect of the consumers and delivering on promises. The actual revenue: We look at revenue as the main goal bit is also useful as a metric. Checking individual strategies and as to why the revenue is lacking in that area can help build individual strategies. Alakmalak is a Web Development firm that also provides several SEO related services that extends to Digital Marketing as well. How to Customize Footer In WordPress?